Going green and energy efficient home improvements are one of the hottest trends today. Did you know you landscaping design impacts your home’s energy efficiency? Yes, consider an energy efficient landscape design so you can reduce your energy costs and toll on the environment. Your #1 energy usage comes from heating and cooling your home. Effective landscaping design significantly impacts heating in the summer and cooling in the winter so check out these ideas for a more energy efficient landscape design at your home. What Does Energy Efficient Landscape Design Do For Homeowners? Increase the sun’s warming during the winter. Provide shade and cooling in the summer. Divert winter winds away from your home. Direct a cooling summer breeze. Energy efficient landscape design saves energy and money. Moreover, selecting the correct plants and hardscapes will help reduce pollution and nurtures wildlife. Choices like a living wall, rather than building a fence, becomes a habitat. Using permeable pavers, instead of concrete, allows water to flow into the ground rather than sewers so it is better for the environment. 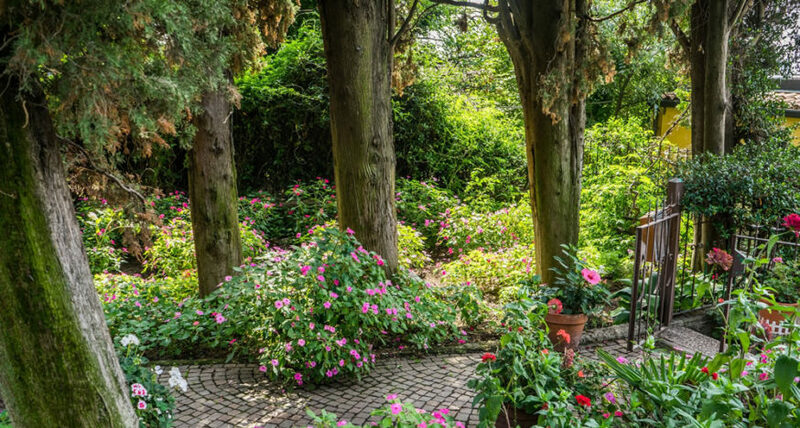 Rasevic Landscape Company provides high quality, full-service landscaping services in the Mid-Atlantic region, and can help you design an energy efficient landscape design in Washington D.C., Delaware, Virginia and across Maryland. So if you would like to talk more about energy-efficient landscaping, or need more information, please contact us.